We have Snow Snow and more snow in Bradford today. I didn't even try get to work this morning, I live on a main road and even that was covered and seen as it is a 20 mile drive I opted to stay at home, plus the kids school was shut so it is officially a snow day. I am 'working fron home' checking my emails between doing some arts and crafts with the kids and then this afternoon we are planning on some more seldging and building a snowman. This photo is from Saturday morning and we have had even more snow since then. 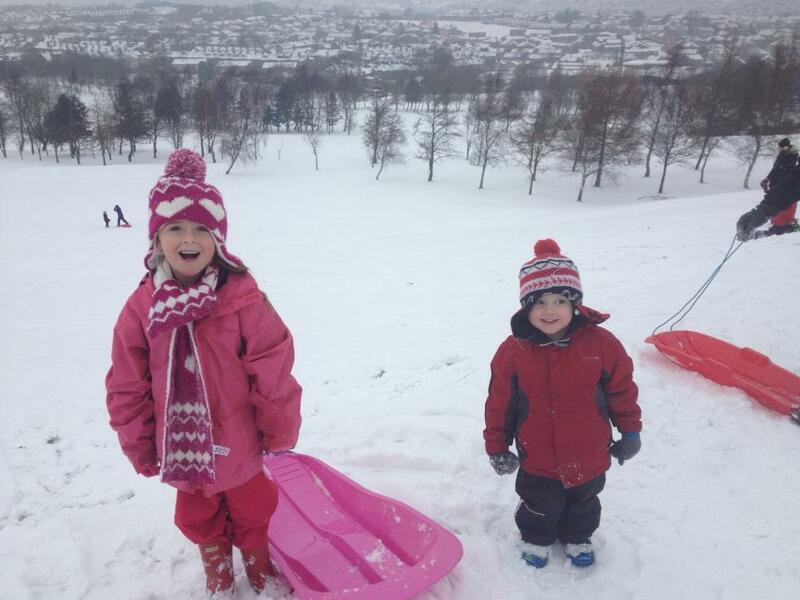 So I figure walking in the snow must burn more calories than normal walking not to mention dragging the kids in sledges. It's #snowloss. Even if the kids don't want to go I might just go play out by myself, anything to burn a few calories.